Dean Elgar is a fine fielder and is very good at collecting a throw properly, but sometimes, the best falters as well. 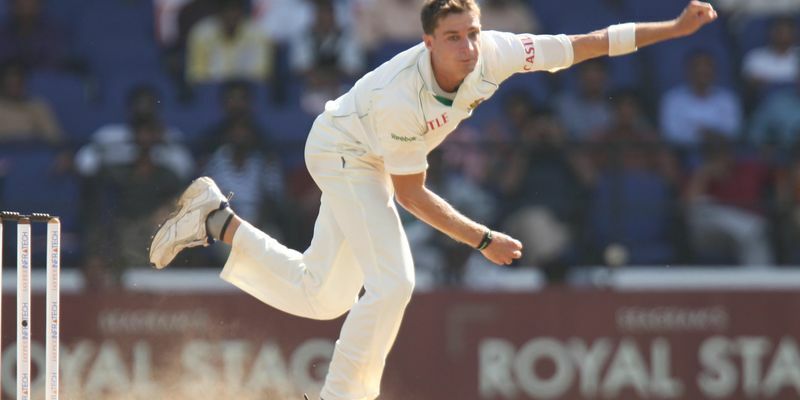 Elgar had one such outing as he failed to effect an easy run-out and in the process, he uprooted the stumps with a solid football-style kick which left Dale Steyn frustrated. On the penultimate delivery of the 15th over, Elgar bowled a flighted ball on the stumps to which Dimuth Karunaratne flicked it towards backward square leg. The Sri Lankan wanted a quick single, but his partner Oshada Fernando hesitated to go for that run and took his time before taking off. However, that had put Karunaratne’s minds in doubts as he decided to return back to his crease, exactly at a time when Steyn collected the ball and threw that to Elgar. The burly South African had a brilliant chance of effecting the run-out as Fernando was a long way out of the crease. In order to quickly break the sticks, Elgar moved forward so fast that he failed to collect the throw and ended up kicking the stumps like a football player. It was so weird that he failed to control the balance of his body and ended up making Steyn frustrated, who facepalmed to show his frustration.